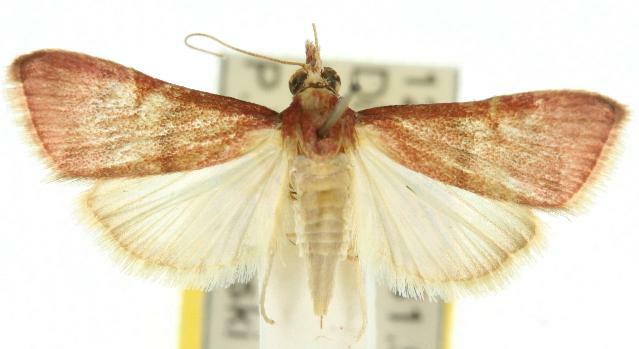 The adult moths of this species have rosy-brown forewings each crossed by two variable vague dark bands. 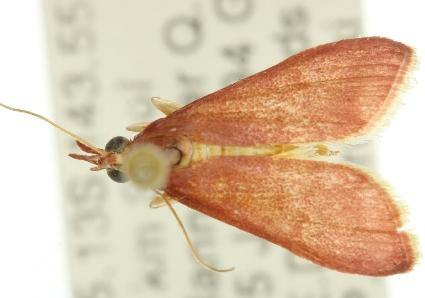 The hindwings are translucent, shading dark at the margins. The wingspan is about 2 cms. Volume 32 (1908), pp. 102-103.